Cheers to your Spirit-led adventure! As a spirit-led entrepreneur, you are going to approach traditional business processes with a different twist. The secret sauce to your process will be cultivating a relationship with Spirit. Learning how to interpret the signs and symbols of your higher self’s messages will make you a confident business person. 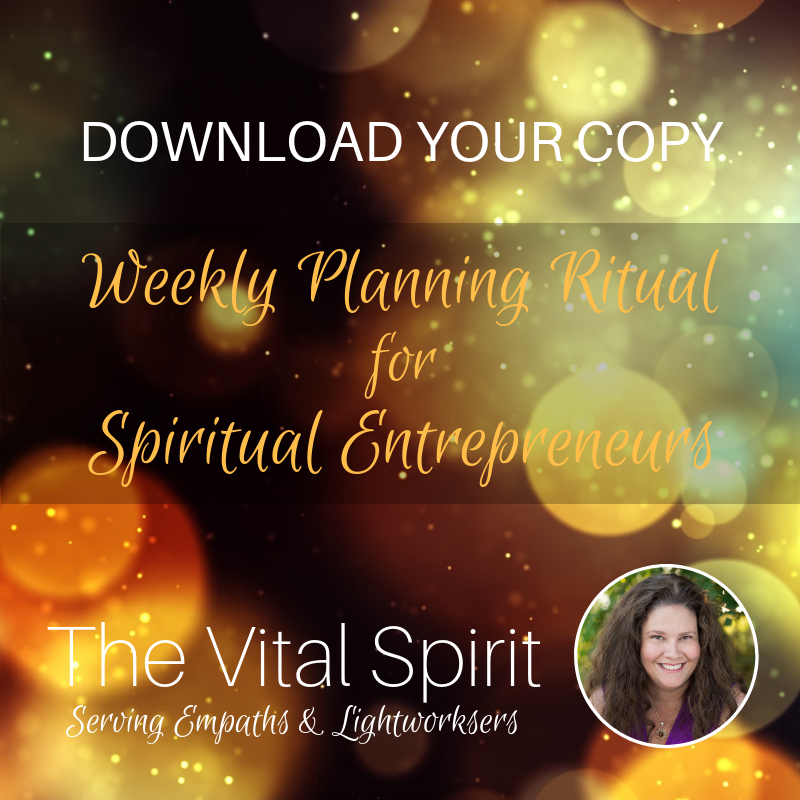 Click the image to the right to download your free Weekly Planning Ritual for Spirit-led Entrepreneurs. While the tools you will use to run your business will be traditional business tools, think website, email, sales funnels, etc, the when and the how you use them will be different. The Collective Conscious wants us lightworkers to birth business that have soul. It is the how that will be the most different. Spirit-led entrepreneurs are using a different code of ethics and values to do their business. I hope you enjoy the journey. I also ask that you reach out if you have questions. The Vital Spirit also manages and facilitates a closed Facebook group called Thrive: A Community of Spirit-led Entrepreneurs Join us if you are looking for like-minded individuals. Good Travels! All my best, Laura.